The doll’s maker Mattel on Tuesday announced a sweeping campaign in collaboration with university researchers to teach young girls to believe in themselves, and not to buy into sexist gender stereotypes. “Research has identified that starting at age five, many girls are less likely than boys to view their own gender as smart and begin to lose confidence in their own competence,” Mattel said in a statement. The company will fund research and work on “rallying a community around supporting girls” through its multi-year Dream Gap Project. Mattel unveiled a new ad featuring young girls holding placards that read “Close the Dream Gap” and ties into Barbie’s “You Can Be Anything” campaign. The brand is working with researchers at New York University, and hopes to extend that initiative in other partnerships around the world. Though Barbie is often criticised for perpetuating negative stereotypes with her impossibly lean physique, the brand has worked hard in recent years to portray a modern image. This year’s featured career is robotics engineer. Another new line showcased “Inspiring Women” such as aviation pioneer Amelia Earhart and black NASA mathematician Katherine Johnson. 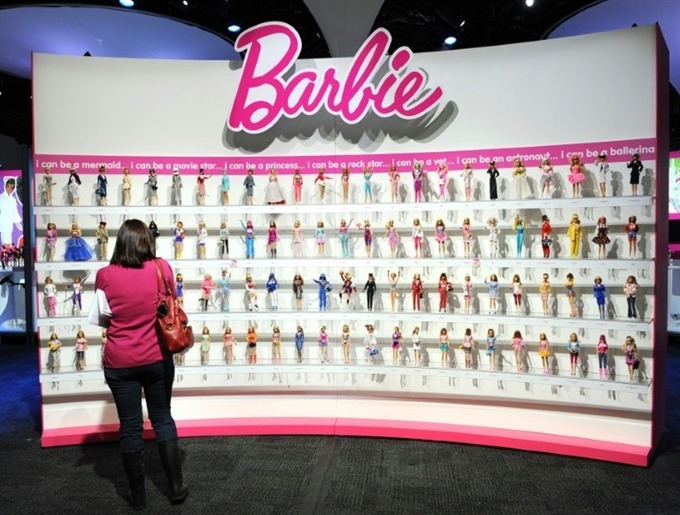 “Since 1959, Barbie has inspired the limitless potential in every girl,” said Lisa McKnight, general manager and senior vice president for Barbie at Mattel.